It is often understood an artist creates beauty for themselves and then share it with others to enjoy, but imagine creating true works of art for over a year, knowing over time, all you would have left are the pictures? That is exactly what artist Spencer Byles did. 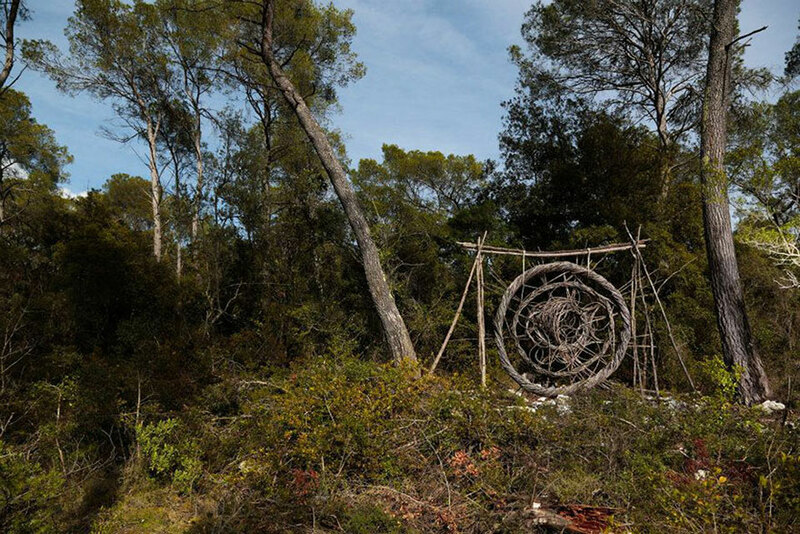 After obtaining all of the necessary legal documents, Byles set out into the unmanaged forest of La Colle Sur Loup, Villeneuve Loubet and Mougins with just basic tools to create far from basic pieces of art. Byles learned to enjoy working by himself, learning to appreciate the quiet peace the forests in France had to offer. He spent time locating areas for his work, but set out with no real plan in place as to what his designs were going to look like. 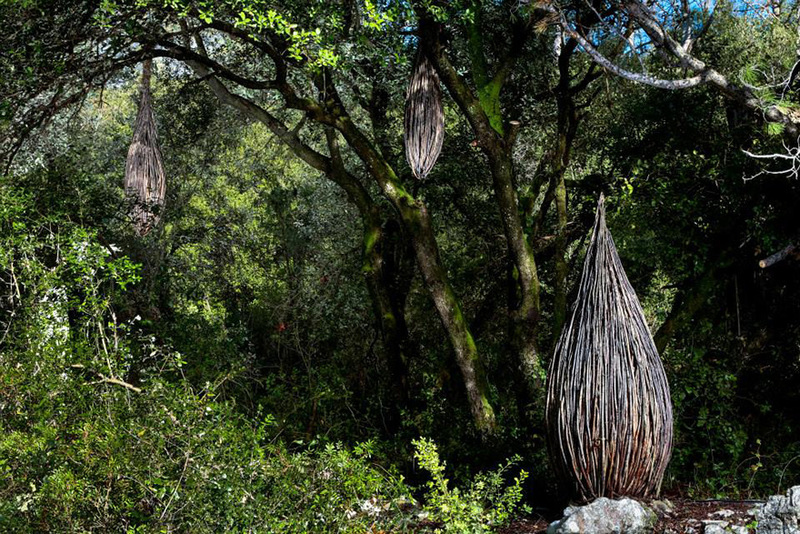 Byles worked to make sure the photographs would capture the true essence of the pieces he created. All in all, I would say he captured nature in a beautiful way. 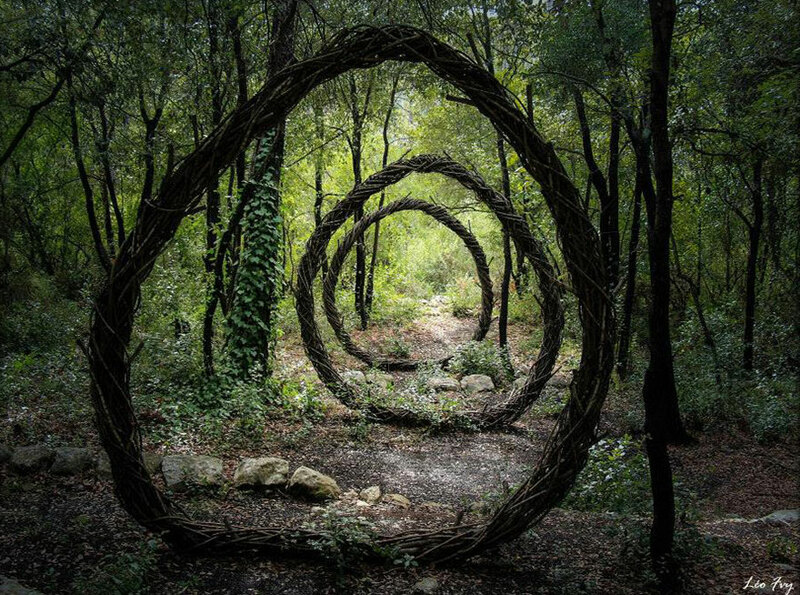 This entry was posted in News Stories - By Paula Halifax and tagged Artistry, Forest, France, Natural Art, Spencer Byles.